The global market for cleanroom disposable gloves is witnessing high growth, thanks to the increasing application of disposable gloves in a number of industries, such as food and beverages, medical and healthcare, pharmaceuticals, medical devices, semiconductors, flat panels, disk drives, and aerospace. Generally, cleanroom disposable gloves are utilized to maintain an aseptic environment in various places to prevent cross contamination across numerous products being produced in research centers and laboratories. Depending on the usage, these gloves are manufactured from different materials, such as latex, natural rubber, nitrile, neoprene, and vinyl. Going forward, the increasing pool of consumers, which the food and beverages, healthcare, pharmaceuticals, aerospace, semiconductors, and various other industries cater to, is likely to boost the demand for cleanroom disposable gloves across the world in the years to come. In addition to this, the launch of innovative gloves produced using additives and fillers, such as anti-allergic chemicals, and various other technological advancements are projected to drive this market in the years to come. On the other hand, the volatile prices of raw materials and the advent of several non-conventional industries may hamper the market’s growth in the near future. Apart from this, the increasing automation and rising application of industrial robots in a number of industries are also projected to create hindrances in the growth trajectory of this market. Cleanroom refers to an area in which the environment is controlled from any type of contamination, airborne particles, water vapor, and microbes. In a cleanroom environment, even the tiniest of matter can cause big trouble, often leading to cancelation of the whole production batch. Cleanroom disposable gloves help in keeping critical environments free from contamination, allergies, and other factors, and are essential across various industries including pharmaceuticals, food and beverages, and semiconductor. Most of these industries are touching new peaks in the recent times, and to maintain utmost quality, the demand in the global cleanroom disposable gloves market is projected to expand at a healthy growth rate during the forecast period of 2017 to 2025. 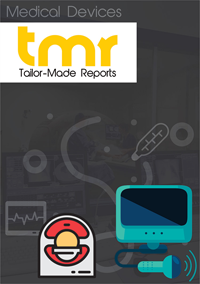 This report on the global market for cleanroom disposable gloves has been prepared for audiences such as manufacturers of various consumer products, medical product vendors, research associations, and hospital authorities, providing them an insight into the current scenario of the market. And based on a comprehensive analysis of all the micro and macro factors that are anticipated to impact the demand, it estimates the future of the market until 2025. A dedicated chapter has been included in the report that studies the regulatory standards of cleanroom gloves, standards for the usage of frequency of cleanroom gloves, and quality assurance required before purchase. The report also has a section on company profiles, wherein a number of leading vendors have been overviewed for their product portfolio, market share, and recent strategic developments in order to gain ground over their competitors. The global cleanroom disposable gloves market can be segmented on the basis of type into natural rubber, vinyl, nitrile, neoprene, and others, while on the basis of end users, the market can be bifurcated into the industries of aerospace, disk drives, food and beverages, semiconductor, flat panels, hospitals, and medical devices. Geographically, the report explores the potential of the cleanroom disposable gloves market in regions such as North America including the U.S., Canada, and Mexico, Asia Pacific including China, India, Japan, Philippines, and Taiwan, Europe, and Latin America. Stringent regulatory requirements are the primary driver of this market, as several governments across the world are focused on maintaining esteemed quality of consumer products and repercussions of contamination is quite severe. Moreover, large base of customer, which is a result of growing population and increasing disposable income, is extending the demand for the consumer products, and thereby reflecting positively on global cleanroom disposable gloves market. Additionally, the development of customized variants of gloves is further aiding to the adoption. However, factor such as increased deployment of industrial robots, especially in the semiconductors industry, is expected to challenge the growth of the market during the forecast period. The report suggests the players to invest aggressively in high base of the pharmaceuticals industry and make most of the extending opportunity. Asia Pacific, being the manufacturing hub of several industries, currently serves the maximum demand for cleanroom disposable gloves, and is projected to remain most profitable throughout the duration of the forecast period. However, countries such as Japan and South Korea have deployed industrial robots for several manufacturing processes including electronics semiconductor, which is expected to hinder the demand for cleanroom disposable gloves from Asia Pacific in the near future. Hartalega Holdings Berhad, Rubberex Corporation Berhad, Supermax Corporation Berhad, Ansell Healthcare, Dynarex Corporation, Kossan Rubber Industries Ltd., Adventa Berhad, Top Glove Corporation Berhad, Cardinal Health, Inc., and Semperit AG Holding are some of the leading companies in the global cleanroom disposable gloves market.